Oysters, mussels, 1/2 Northsea crab, shrimps, periwinkles, whelks, pink shrimps, prawns, clams. Oysters,clams, mussels, shrimps, periwinkles, whelks, pink shrimps, prawns. Just in front of the Ostend Casino-Kursaal lies restaurant 'The Lobster' with Chef Joost Nolet, specialist in Lobster and Seafood. Joost and his wife, Françoise, bring you an excellent variety fresh Canadian and European lobster, seafood and fish. We share our passion for over 30 years with our customers from all over Europe (the Netherlands, France, Great Brittain, Luxemburg, Spain, Italy, Denmark, Germany,...) and offer you a wide variety of choices for everyone's taste and satisfaction! Recently we achieved the Q-label. 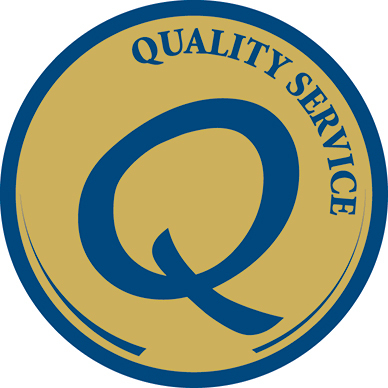 This therefore guarantees a quality service to our guests. Seafood is delivered from the ports of Boulogne-sur-mer and Calais. Daily fresh products are also delivered by local shops e.g. fishmanager Luk and Primeurs Achiel. We kindly and adequately help less mobile customers. A sloping entrance, a stair elevator and a large toilet are present. Enjoying a large plate of fresh seafood in the comfortable and pleasant atmosphare of the restaurant Lobster is a unique experience. Every month we offer you a menu of new creations of fish dishes adapted to the season. 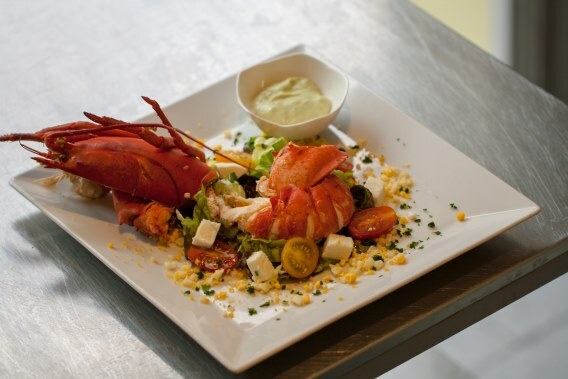 We also have a lobstermenu and a wide range of lobster preparations. As an original present why not surprise your friends, family or colleagues by giving them a voucher from th Lobster restaurant. Vouchers are custom-made. Vouchers can be purchased on the premisses. After booking online we'll contact you by phone or email to confirm the booking. Please enter at what time(s) you'd like to book a table and for how many people.